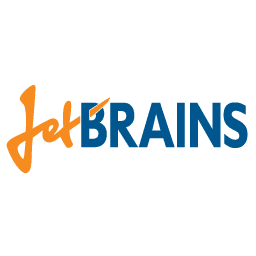 We are happy to announce availability of Snippets Distributors for all JetBrains' IDEs. JetBrains is a great company that makes smart IDEs for many languages and technologies. If you don't use them we encourage you at least to try, you will love it. ReSharper obviously on Windows only. It is supported by the Distributor for Visual Studio. There is one small thing that makes using Snippets Distributor with all these IDEs (except ReSharper) a bit uncomfortable. If you make any changes in your library or distributor settings, you have to restart IDE in order to reflect these changes. Implement automatic reloading of settings in Intellij IDEA Community Edition and send pull request. If they accept, it it will spread to all the other IDE since they are bases on Intellij IDEA community edition. Here is the repository. Vote for this task. We hope that there will be enough votes to get the attention of responsible team to this task. To install any of the available distributors, open Distributors window by pressing Cmd+Shift+D on Mac or Ctrl+Shift+D on Windows, find it in Online Gallery listing and click install. You also need to enable it by selecting Enabled checkbox. If you enjoyed using distributors so far, I’d be very grateful if you’d help it spread by sharing it with your friends on Twitter or Facebook. Thank you! Any future for a Sublime Text 2/3 plugin? Here is a list of available distributors http://snippets.me/distributors/list.html, Distributor for Sublime Text is there as well.